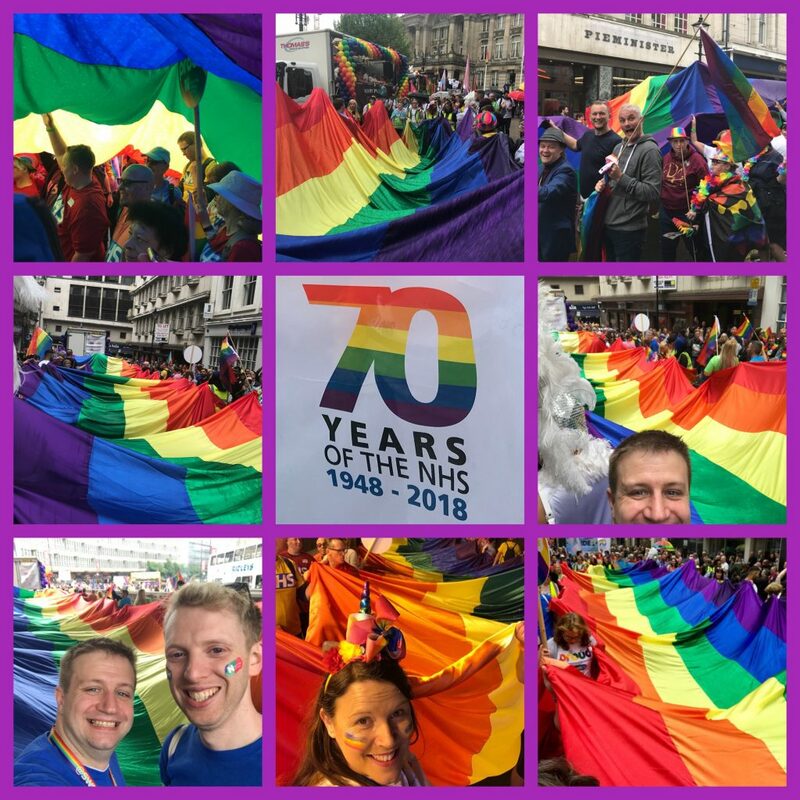 The Lesbian, Gay, Bisexual and Trans (LGBT) Staff Network is a group of individuals from across the Trust who self-identify as being LGBT+ or are an ally of LGBT+ Staff. The LGBT Staff Network works in partnership with the Diversity and Inclusion Team and the other Staff Networks to promote Equality, Diversity and Inclusion. We take part in internal and external activities promoting the inclusive culture of our organization. The LGBT Staff Network has been recognised alongside or BME and Disability partners and the Trusts Staff Side for our inclusion work. We have won the ENEI Award for Inclusion and the Sandwell and West Birmingham Clinical Commissioning Group Equality Award for Partnership Working. We were also Highly Commended at SWBH Star Awards 2017 – all fantastic achievements in our first year. In our second year we have been shortlisted for the ENEI Staff Network of the Year. You can get involved by attending meetings and supporting our events.